Thanks to Absolutely Bananas, I’m going to have some fun and list some of my favorite beauty products. First, please know that I have brows. And by brows, I mean BROW WOW WOWs. Heavy, thick, Frida Kahlo brows. I’ve been waxing these suckers into submission for 20 years now. And waxing alone doesn’t do: I also need glue, smoke and mirrors to keep them in place. 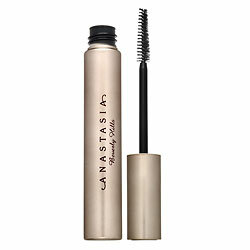 Anastasia’s Brow Gel (in clear). It’s akin to super glue (but wash-offable super glue) and it grooms my brows like nobody’s business. And I’m pretty sure Anastasia knows her business because she looks like she runs hairy and has probably tested this glue gel to within an inch of its life. 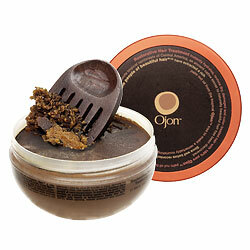 Next in line is Ojon’s Restorative Hair Treatment. I’ll back up to say, I hated it at first. As a hair treatment, it just didn’t work for me. Plus, it smelled like coffee, which is good in my mouth, but not on my head. BUT, as a hair pomade — I love it. Just take a little bit, warm it between your fingers, and apply to tame unruly hairs. It works like a charm. But please note: my hair texture — unlike my brow texture — is weak and wimpy. Also frizzy and dry. Unmanageable and lackluster. So if you share my hair attributes, Ojon may be for you. Davine’s Vegetarian Miracle. This elusive elixir fixes everything that’s wrong with my hair, without weighing it down, which is a rare and welcome treat. It’s a bit hard to find and semi-expensive (but lasts a long time), so I’m not using it right now, which is why my hair is not pictured along with it. Love, your friendly hairy-browed, weakly-follicled San Diego Momma. Dude, let’s share DNA and we could have BEAUTIFUL eye brow babies. ‘Cause I got none. Like sparse. Like I envy Persian women in all their brow-ful glory. 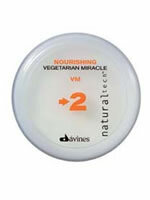 Methinks I need some Davine’s Vegetarian Miracle. I am in a quest for the perfect hair product. I haven’t found it yet, but I’m sure it must be out there! Brow gel, huh? Gotta try that . . . Sorry I missed PROMPTuesday. I have been in over my head this week. I too struggled with the Kahloesque unibrow all my life. Luckily, 37 years of electrolysis, waxing, and plucking, my eyebrows are permanently manicured. At least, my lazy *ss likes’ to think so! Your list reads like a delicious menu! I won’t be trying the eyebrow gel however. During pregnancy, my eyebrows STOPPED growing. Yes, STOPPED. Which makes for easy upkeep, but honestly I’d be happy to go back to tweezing … it’s soo blonde, my face looks freakishly naked if I don’t use a little pencil to fill them in. Ah well, could be worse. I want the coffee hair stuff. Although my hair is SHORT, so will it work on short, fine, huge mass of hair? (Does that even make sense?) I think I will try it anyway, I mean IT SMELLS LIKE COFFEE!! Oh, and FWIW, Anastasia’s eyebrow kit rocks the house. 4 or 5 templates for which to tweeze your brows with plus you get to pick which color filler you need. The glue of which you speak, and a brush. I no longer pay the lady at the salon to torture me, I can do it myself!